Amanda White has been working to advance nonprofits and small businesses in Madison for over 15 years. 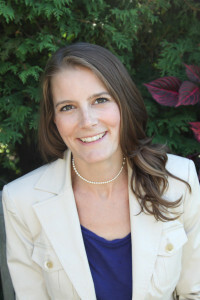 Through Amanda White Consulting, Amanda has directly raised millions of dollars to support local nonprofit missions and she’s coached clients to secure over $20 million collectively. Unique from other consultants, Amanda is fortunate to have worked in a variety of capacities within the small business and nonprofit sectors. While fundraising and storytelling is her passion, Amanda also has strong experience in financial forecasting, statewide program development, media relations, and even lobbying. 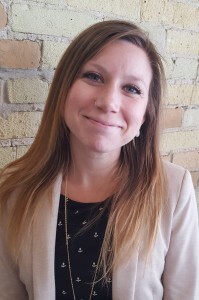 These diverse experiences give Amanda a complete understanding of non-profit management, enabling her to create a fundraising strategy that supports an organization’s overall mission and operations. I enjoy fund development because a nonprofit’s financial success makes possible our inspiring ideas on how to improve our communities and the lives of our neighbors. Fund raising at its core is all about people believing in other people and a shared passion. Seeing first-hand the generosity and true goodness of other community members is amazing! My overall goal for every client is to show them that fundraising can be simple. While it does require time and dedication, organizations can absolutely achieve fund development success. I also try to make the entire process positive and even fun. As the Operations Director for Amanda White Consulting, Amy leads the Fundraising Operations service. With more than 10 years of direct experience in nonprofit operations, management, and fundraising, Amy’s experience also includes nonprofit communications strategies, program development, board relations, and budget development. Amy is well positioned to provide high-level expertise and execution of a variety of fundraising and communications strategies. Amy has extensive hands-on experience with a range of donor database programs, email communications platforms, website management systems, and social media platforms. Amy loves building systems that work for people. I know firsthand the challenges that executive directors and development directors face when it comes to managing a fundraising program. I enjoy working with our clients to create strong systems for fundraising success and lifting the burden of database management. We provide clients with the time and tools to create and sustain meaningful donor relationships.